The South Orlando Rowing Association features middle, high school, masters-level, veterans, and adaptive crews. All practices are at Moss Park located at 12901 Moss Park Rd., Orlando, FL 32832. 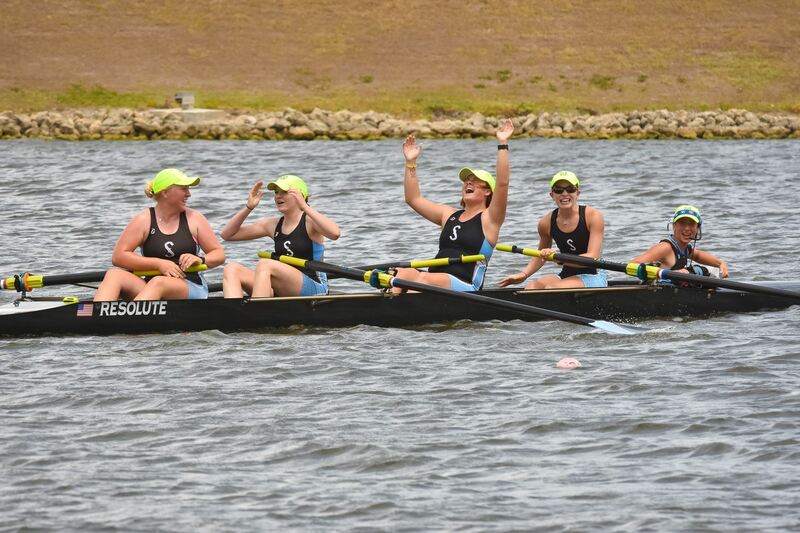 SORA provides coaching, equipment, and administrative services for rowers and fosters parental involvement through numerous and varied volunteer opportunities. From seasoned athletes who want to brush up on skills to parents who just want to help, there is room for everyone at SORA. We welcome you to come out at any time and see for yourself. High school rowers of all levels come together to practice and compete with our well-respected and highly ranked crew. Our program has produced numerous state champions and rowers who are ranked amongst 2018’s Top-Ten fastest in the nation. Program goals: Our goal is to produce the fastest boats possible while working with individuals to develop responsibility, a strong work ethic, and sense of personal pride. PROGRAM GOALS: Our goal is to produce the fastest boats possible while working with the individual athlete to instill a strong work ethic, pride, teamwork and a sense of responsibility. Rowers will be grouped together according to skill level and coached accordingly. 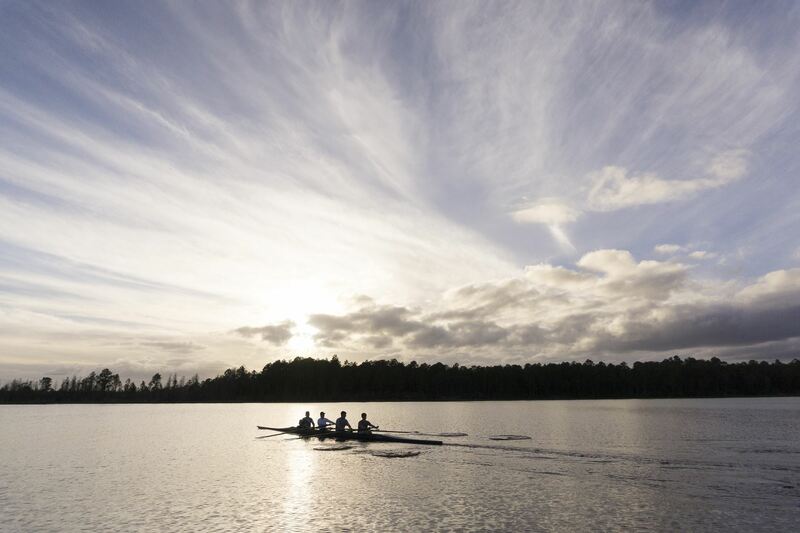 Rowers will earn seats in racing boats. TEAM STRUCTURE: The Novice Team is the group of rowers who are in their first year of rowing. They practice together and race other novice teams. The Varsity Team is made up of rowers who are in at least their second year of rowing. Novice rowers may be moved up to train and compete with varsity rowers when coaches deem readiness. No practices on Thursdays in the fall. One of the oldest and most respected programs in central Florida, our middle school crew introduces young people to the sport through a comprehensive skill development program. Participants race other middle school programs at local regattas and learn what it takes to row competitively. PROGRAM GOALS: Our young athletes learn to row in a fun and supportive environment. They learn sweeping (rowing with one oar), sculling (rowing with two oars), and how to use the erg (rowing machine) properly. 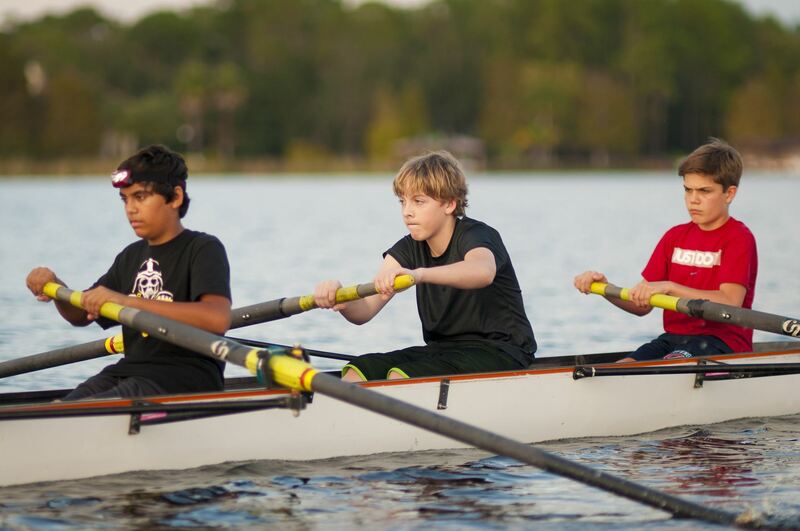 TEAM STRUCTURE : Under the direction of our coaching staff, these rowers train and compete in boats of various sizes and SORA is pleased to share we are the only middle school team in central Florida that trains our middle schoolers in sculling. PRACTICE & COMPETITION: Unlike other local teams, SORA’s middle school program runs the entire school year. Practices are Monday, Tuesday, and Thursday from 5:30-7:30 pm. Our recreational Masters Program is a great way for adults of all ages to get in - or stay in - top physical shape. The Masters Program includes coached-practice sessions and opportunities to race in SORA-sponsored regattas. Annual Registration Fee: $100 This includes your annual Parking Pass which covers daily parking fees and a SORA Shirt. Veterans Discount: As a thank you for your service to our country, veterans who show a copy of their proof of military service can row with us at a discounted rate of $35 a month. In the case of lightning, all boats are removed from the water and practice continues on land, under cover. Very rarely is practice canceled due to inclement weather, but if that happens, there will be emails, texts, and social media communications.